Timeless architecture needn’t shout; it is more pleasant to listen to the wind whispering through it. Orton Architects is a full-service design and architecture firm in Pretoria whose work includes residences, cabins, museums and exhibition design, hospitality projects, mixed-use & commercial design, interior design, landscape design, and places of worship. 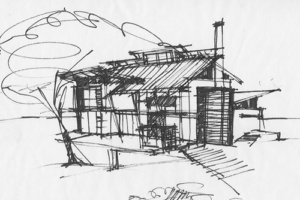 When we decided to create our own firm, we had very strong ideas about the kind of buildings we wanted to design. We believe that architecture should be rooted to its particular place by using the best local materials and craftsmen. 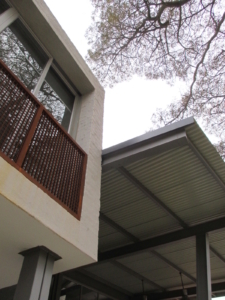 Our vision is to create buildings that are environmentally responsive, authentic, artful, tactile and modern. Led by owner; Jacques Orton, the firm’s work can be found across South Africa & beyond, with projects ranging from, Houses & Cabins, Art Cultural & Exhibits, Mixed-use & Commercial, Hospitality, Places of Worship, Academic & Civic. We believe that you’re your home should tell the story of who you are and be a collective of what you love. Although this is an additional service and not included in the standard services, we highly recommend that we handle the interior design of every building we design. Led by Marius Calitz, this dynamic individual oversees all Project Management aspects of our projects. Although some clients prefer handle the project management themselves in order to save on Professional Fees, we believe that this aspect can only be managed by an architect with total project comprehension.